Be still my beating heart. Is there anything more delicious than a fresh-from-the-pan, still-hot apple fritter? No. The answer is no. 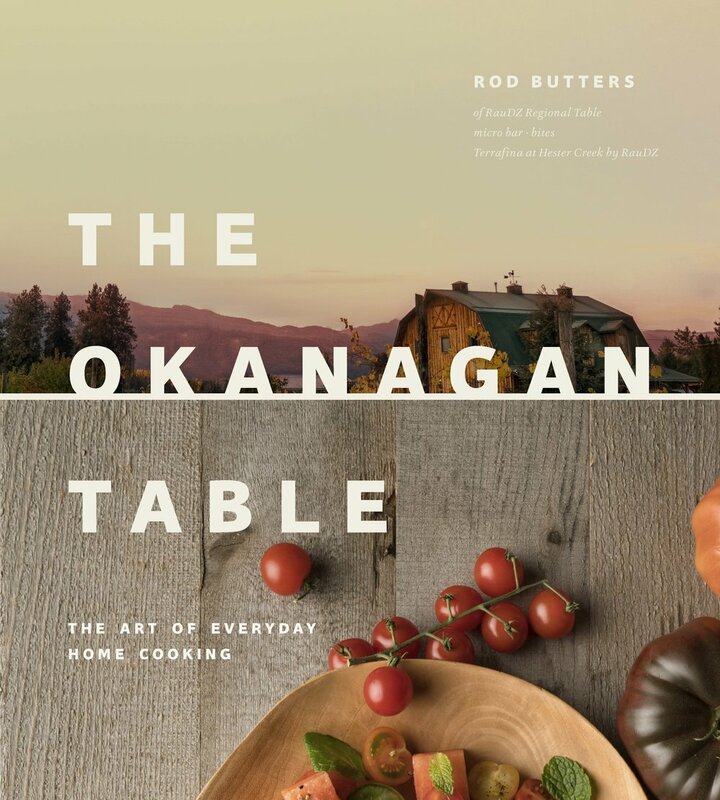 Lucky for us, this recipe from The Okanagan Table, by Chef Rod Butters, exists, making it possible to have gorgeous, drool-inducing fritters anytime we damn-well please. CINNAMON SUGAR Combine the ingredients and mix well. Set aside. SPICED APPLE WHIPPED CREAM In a small saucepan, combine the apples, brown sugar, cinnamon, allspice, ginger, and water and cook over medium heat for 8 to 10 minutes, until very soft. Transfer the mixture to a blender and purée until smooth. Transfer to a bowl and set aside to cool. TO ASSEMBLE Pour the oil into a deep saucepan or deep fryer and heat over medium-high heat until it reaches a temperature of 350 degrees Fahrenheit. Carefully lower spoonfuls of apple fritter batter into the oil, working in batches to avoid overcrowding. Using a slotted spoon, move the fritters around to prevent them from sticking to the sides or bottom of the pan. Deep-fry for 4 to 6 minutes, or until golden brown. Using a slotted spoon, transfer the fritters to a plate lined with paper towels. Generously sprinkle the cinnamon sugar overtop. TO SERVE Serve the fritters warm, with spiced apple whipped cream. Craving more? 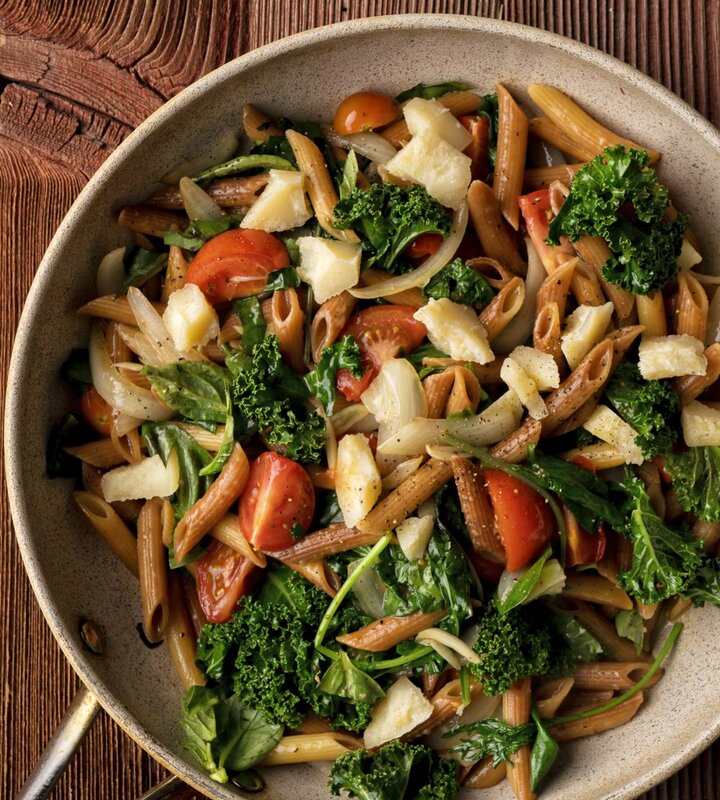 Check out this recipe for Pan-Fried Pasta, pictured below, also from The Okanagan Table.